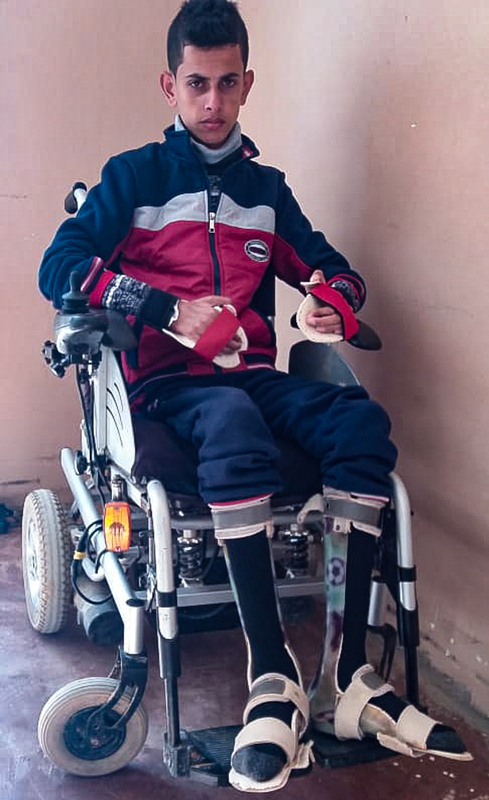 As a result of the shooting, Nabaheen was paralyzed and confined to a wheelchair for the rest of his life. In November 2018, Israel's Be'er Sheva District Court rejected a case filed by Adalah – The Legal Center for Arab Minority Rights in Israel and Al Mezan Center for Human Rights on behalf of the Nabaheen family against the Israeli military for the shooting and wounding of their son. The court ruled that the state is not liable for damages because Palestinians in Gaza are not entitled to seek compensation from Israel as they live in an “enemy entity”. According to Article 5/B-1 of Amendment No. 8 of Israel's Civil Wrongs Law (State Responsibility) of 1952, which was enacted in 2012, residents of a territory declared by the Israeli government as “enemy territory” – as Gaza was declared in 2007 – are not eligible to seek compensation from Israel for any reason. Adalah and Al Mezan appealed this ruling to the Israeli Supreme Court on 7 February 2019, arguing that the lower court’s decision and the amendment to the law violate both Israeli and international law, which require that protected civilians be entitled to effective legal remedies. The human rights organizations demand that the Supreme Court overturn the ruling of the Be’er Sheva District Court and find Amendment No. 8 unconstitutional. The appeal was filed by Adalah Deputy Director Attorney Sawsan Zaher, Adalah General Director Hassan Jabareen, and private attorney Mohammad Jabareen. Amendment No. 8 to Israel's Civil Wrongs Law adopts the doctrine of "enemy aliens”, which was prohibited under international law in the aftermath of World War II. The "enemy alien" doctrine – which determines that any individual situated in a territory declared as "enemy territory" is to be considered an enemy – was prohibited because of its racist and dangerous nature. This doctrine denies human rights and allows harm to civilians based solely upon their ethnic and national affiliation. It also stands in stark and flagrant violation of the "principle of distinction" which is the basis for customary international law governing the rules of war. "By confirming the constitutionality of the law, the lower Israeli court ruling grants sweeping de facto immunity to Israeli military forces for any harm that they cause to Gaza's civilian population – even if such harm is caused by negligence, and even if it doesn't take place during wartime or in a combat situation. Such a sweeping law is illegal." Amendment #8 essentially means that Israeli soldiers and state authorities are immune from damage claims and paying compensation to persons harmed if they are: 1) acting within a ‘combat situation’; and 2) acting in or against an "enemy territory", even if they violate domestic and international law and cause harm to civilians. It renders state responsibility, as well as the victims’ inherent rights to a remedy, meaningless. "For many years, Israel's Civil Wrongs Law has denied Palestinian victims in Gaza access to remedies they are entitled to, as the law provides that Israel isn’t liable for acts performed during combat actions of the military. Amendment No. 8 has expanded the exceptions, and it applies regardless of the legality of the army’s conduct. Worse, the court ruling deems all Gaza residents, including civilians like the teenager Attiya Nabaheen, ineligible for compensation merely because of where they reside. Amendment No. 8 contradicts the principles of the rule of law and justice, and must be cancelled."